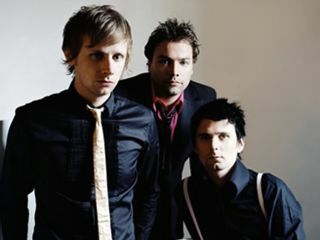 No Muse is definitely not good news for fans who have been waiting for a new Muse album since Black Holes And Revelations was released in July, 2006. And according to bassist Chris Wolstenholme, the wait might be longer than previously expected. "There's about six or seven songs that we've started work on, but they're still very young," says Wolstenholme. "I don't think there's anything that we're ready to record yet." A few months ago, Muse said they were headed for Italy to begin recording - and indicated that they had plenty of material written. Now, however, that appears not to be the case. "We just wanted to get started this year, to get the ball rolling a little bit rather than wait for a year doing nothing then get in the studio, and go, 'What do we do now?' says Wolstenholme. "Sometimes you can suffer from having too much time off." Hmm. Time off...The Italian countryside...Sounds like just the things to inspire some songwriting to us. Perhaps Muse need to get some day jobs. A little 9 to 5 action might get the creativity flowing. Meanwhile, they can sit around waiting to see if they win a Q Award for Best Act In The World Today.